Lois Lane: [after Clark uses his x-ray vision] So thats what you've been doing all these years when you pulled your glasses down. I thought you had astigmatism. The most conventional way to treat astigmatism is to use corrective lens. However, there are dark secrets which your opticians and optometrists are keeping from you. This article aims to help you understand how glasses and contact lens correct astigmatism and the pros and dark side of using them. Before we get to the workings of corrective lens, let us dig in further on how light travel in an astigmatic eye so that you can better understand the mechanism nature of these prescription lenses. By now, you will have known that regular astigmatism happens when the cornea of the eye shaped like a rugby ball instead of a sphere. 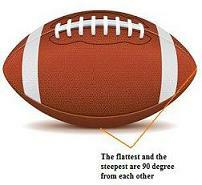 The steepest and flattest part are 90 degree from each other. When this happens light is refracted different from the different meridians, thus causing a image distortion as it creates different focal points. 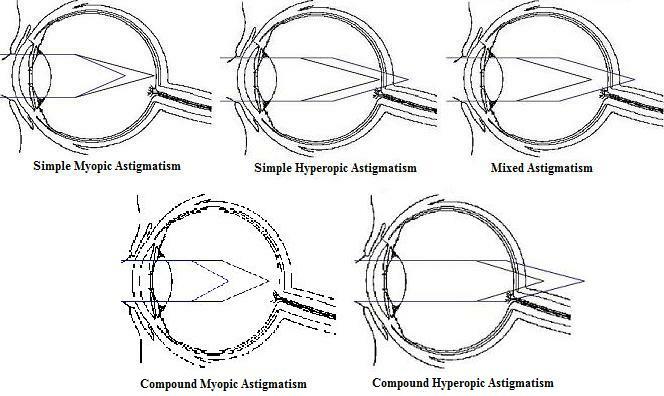 Since astigmatism is most likely to accompany by other refractive errors such as nearsightedness, farsightedness and presbyopia, additional "cylinder" lens power to correct the difference between the powers of the two principal meridians of the eye. Cylindrical lens has different angle of curvature in different planes (horizontal and vertical). The cylinders refract the light rays at different angles from different meridians and focus them onto one spot on the retinal. These glasses work well when the patient looks straight ahead but if you look to the side, things may still look distorted. Depending on the specific correction, the glasses can make the floor or walls appear to tilt. To avoid this problem, some people choose to use toric contact lenses (more pricey option) to correct their astigmatism. Toric lenses have greater light bending power in one direction than the other. They contain a special cylindrical lens prescription that allow two prescriptions in one to compensate for the astigmatism. As compared to normal soft contact lenses which conform to the shape of the cornea eventually, toric lenses stay in their shape due to its rigid gas permeable nature. Toric lenses also provide a unique mechanism for keeping itself in the right place of your eyes, so the angles of your lenses are not affected and your vision remains crisp as you shift from object to object. Am I trying to sell corrective lens here? I just want to share with you all they work and their benefits. Now let us see some of the darker sides of the story. All corrective lens did was to refract the rays of light inwards and bringing the light into focus onto the retina instead of behind the retina. Nothing about our eyes have changed. It is like taking pain killer to think that you are fine when in reality you are not. In fact, many times our corrective lens are over prescribed. Remember the sudden headache and giddiness when you first wear your glasses? Little wonders on why we always feel tired when we put on the prescribed lens constantly. As if that is not bad enough, there’s another problem with prescribed lens. They cause your eyesight to deteriorate. In research at a New York University, biologists have demonstrated that wearing a minus lens actually causes the elongation of the eyeball, in other words it causes near sight to deteriorate. The same is the case with plus lenses fitted for presbyopia or far sight. You may wonder what do all these have to do with astigmatism? When your accompanied refractive error (such as nearsightedness) get worse, so does your astigmatism. I am not saying the corrective lenses are bad. It helped millions of people which includes me. I also wear them once a while. It is the over-reliance that we have to avoid. Over-reliance on corrective lens will deteriorate your eye health which may lead to severe astigmatism eventually. Relying on glasses is like relying on crutches. When the cast is removed, the muscles of the injured leg have weakened and so we do exercises to regain its strength back. We may depend on the crutches when in need. Such as moments where you have to handle dangerous machinery, shooting, driving, checking out your dating partner... you get the idea. 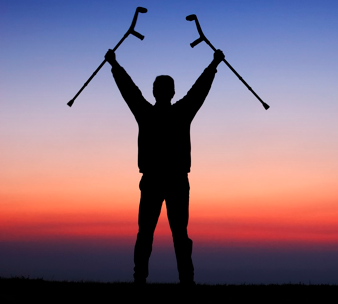 We need to stop relying on the “crutches”. Now we will move on to one of the less common ways to improve astigmatism.